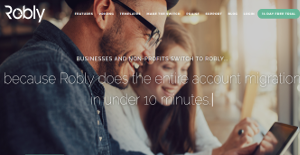 Robly is a cloud-based email marketing & automation platform for businesses, marketing teams, and professional individual marketers that is built to improve email campaign rates by as high as 50%. Robust, powerful, and user-friendly Robly caters to multiple types of users, even those who have little to no email marketing experience or knowledge. Apart from raising email campaign rates by as much as 50%, Robly also promises users with the massive growth of their email subscriber list with a rate that is five times faster than conventional practices with its selection of proprietary tool technologies. It comes with a powerful artificial intelligence that determines and automatically sends your email marketing campaigns to your target users and prospects at the right time. Robly is loaded with A/B testing functionality, responsive templates, and specific reporting capabilities, all proven to be effective in enhancing your open rates and clickthroughs. If you are looking for an email marketing tool that is effective in delivering results, has all the modern tools to give you that distinctive edge over the competition, and has raked in awards and accolades for the innovations it pioneered to the email marketing industry, then you just can’t go wrong with Robly. With its OpenGen technology, Robly ensures that your email campaigns are read by your recipients. This functionality has proven to increase open rates to as much as 50%. It initially begins with a typical marketing content sent via email. Subscribers who did not open your first email will automatically get another campaign 1-10 days later, this time with a different subject line. More than just sending repeat email campaigns, Robly’s patent-pending articial intelligence innovation called Robly A.I. will analyze all details about your campaigns, history, subscriber interactions, and more. This artificial intelligence determines when is the best time to send your emails, which is when your subscribers will most likely open their inbox and check their messages. Email marketing campaigns need to be fine-tuned before they are launched. Robly has an A/B testing capability that helps you cover all the bases, optimize all elements of your email campaign such as name, subject line, call to action, content, and more. What you send is basically a fully optimized email that will surely generate the results you are looking for. There are well-liked and widely used solutions in each software group. But are they automatically the best fit for your organization’s unique requirements? A trendy software solution may have thousands of subscribers, but does it present what you require? For this reason, do not blindly invest in popular systems. Read at least a few Robly reviews and think about the aspects that you want in the software such as the fees, main functionality, available integrations etc. Then, select a few solutions that fit your needs. Try out the free trials of these platforms, read online comments, get information from the vendor, and do your research meticulously. This in-depth groundwork is sure to help you select the finest software solution for your organization’s unique needs. How Much Does Robly Cost? We realize that when you make a decision to buy Email Marketing Software it’s important not only to see how experts evaluate it in their reviews, but also to find out if the real people and companies that buy it are actually satisfied with the product. That’s why we’ve created our behavior-based Customer Satisfaction Algorithm™ that gathers customer reviews, comments and Robly reviews across a wide range of social media sites. The data is then presented in an easy to digest form showing how many people had positive and negative experience with Robly. With that information at hand you should be equipped to make an informed buying decision that you won’t regret. What are Robly pricing details? What integrations are available for Robly? Pros: We have transferred from other similar solution to Robly and I’m glad we made this decision. The learning curve is simple and easy to use. It provides lot of options so I can easily create own templates and to onclude newsletters, updates, requests and etc. With its non-profit pricing we are spending less of what we have spent when using the competitor’s product. I like the Open Gen feature. Cons: In my opinion they could improve the setup of the Open Gen. Also it would be great if they could include more generic templates for our own organization and our purposes. Pros: I’m using this tool to create newsletters for sport topics. It is extremely easy to make the templates for this purpose. The format of the template/email looks great, modern and clean. Whenever I have some question regarding the product its support team is always responsive. They always help me to solve the problem or to find an answer. Cons: I’d like to have only one account to serve both events but I think this is impossible. If you need more information about Robly or you simply have a question let us know what you need and we’ll forward your request directly to the vendor.